Norwegian Cruise Line revolutionized the industry with the introduction of Freestyle Cruising, which gives guests more freedom and flexibility. NCL offers Eastern and Western Caribbean cruises out of Port Canaveral, Florida. See the details below. Freestyle cruising is all about freedom. Freedom from stress and schedules. Create your own vacation. Eat where you want, with whom you want, when you want. Dress the way you want too. 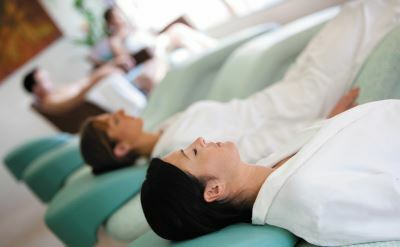 The Norwegian Sun cruise ship features live shows, Manadara Spa, Sports Deck, Pool Deck, Bliss Ultra Lounge, casino and family-friendly Splash Academy youth programs. Complimentary dining options include the main dining rooms, Sports Bar, Garden Cafe buffet, Great Outdoors Cafe, and Topsiders Grill. For an additional fee you can eat at Los Lobos Cantina, Monderno Churrascaria, La Cucina, Atrium Cafe, Cagney's Steakhouse, Le Bistro, Sushi Bar, and Teppanyaki. 3-day Bahamas cruises on the Norwegian Sun. Round-trip from Port Canaveral/Orlando to Nassau (Bahamas) and Great Stirrup Cay (Bahamas). • 2019 departures: April 26, May 3, May 10, May 17, May 31, June 7, June 14, June 21, June 28, July 5, July 12, July 19, August 2, August 9, August 16. 3-day Bahamas cruises on the Norwegian Sun. Round-trip from Port Canaveral/Orlando to Nassau (Bahamas) and Grand Bahama Island (Bahamas). • 2019 departures: April 19. 4-day Bahamas cruise on the Norwegian Breakaway. Round-trip from Port Canaveral to Great Stirrup Cay (Bahamas) and Nassau (Bahamas). 4-day Cuba cruises on the Norwegian Sun. Round-trip from Port Canaveral/Orlando to Havana (Cuba)(overnight). • 2019 departures: April 15, May 27, June 10, June 17, July 8, July 15, July 29. 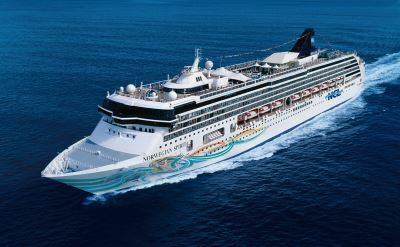 4-day Cuba & Key West cruises on the Norwegian Sun. Round-trip from Port Canaveral/Orlando to Key West (Florida) and Havana (Cuba). • 2019 departures: April 22, April 29, May 6, May 13, May 20, June 3, June 24, July 1, July 22, August 5, August 12. 5-day Cuba & Bahamas cruises on the Norwegian Sun. Round-trip from Port Canaveral/Orlando to Key West (Florida), Havana (Cuba) and Great Stirrup Cay (Bahamas). • 2019 departures: August 19, August 24, September 2, September 7, September 16, September 30, October 12, October 21, October 26, November 4, November 9, November 18. 7-day Eastern Caribbean cruise on the Norwegian Epic. Round-trip from Port Canaveral/Orlando to Tortola (British Virgin Islands), St Thomas (US Virgin Islands) and Great Stirrup Cay (private island in Bahamas). 7-day Eastern Caribbean cruises on the Norwegian Breakaway. Round-trip from Port Canaveral/Orlando to Tortola (British Virgin Islands), St Thomas (US Virgin Islands) and Great Stirrup Cay (private island in Bahamas). • 2019 departures: November 30, December 14. • 2020 departures: February 8, February 22, March 28. 7-day Eastern Caribbean cruises on the Norwegian Escape. Round-trip from Port Canaveral/Orlando to Puerto Plata (Dominican Republic), St Thomas (US Virgin Islands), Tortola (British Virgin Islands) and Great Stirrup Cay (Bahamas). • 2020 departures: November 21, December 5, December 19, December 26. 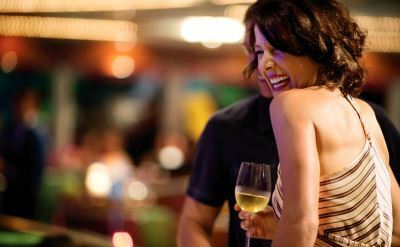 7-day Western Caribbean cruises on the Norwegian Epic. Round-trip from Port Canaveral/Orlando to Great Stirrup Cay (private island in Bahamas), Ocho Rios (Jamaica), Grand Cayman (Cayman Islands) and Cozumel (Mexico). 7-day Western Caribbean cruises on the Norwegian Breakaway. Round-trip from Port Canaveral/Orlando to Great Stirrup Cay (private island in Bahamas), Ocho Rios (Jamaica), Grand Cayman (Cayman Islands) and Cozumel (Mexico). • 2019 departures: November 23, December 7, December 21. • 2020 departures: February 1, February 15, March 7, March 14, April 4, April 11. 7-day Western Caribbean cruises on the Norwegian Breakaway. Round-trip from Port Canaveral/Orlando to Great Stirrup Cay (private island in Bahamas), Falmouth (Jamaica), Grand Cayman (Cayman Islands) and Cozumel (Mexico). • 2019 departures: December 28. • 2020 departures: January 4, February 29, March 21. 7-day Western Caribbean cruises on the Norwegian Escape. Round-trip from Port Canaveral to Cozumel (Mexico), Grand Cayman (Cayman Islands), Ocho Rios (Jamaica) and Great Stirrup Cay (Bahamas). • 2020 departures: November 28, December 12. 10-day Western Caribbean cruise on the Norwegian Breakaway. Round-trip from Port Canaveral to Great Stirrup Cay (private island in Bahamas), Ocho Rios (Jamaica), Grand Cayman (Cayman Islands), Roatan (Honduras), Harvest Caye (Belize), Costa Maya (Mexico) and Cozumel (Mexico). • 2020 departure: January 22. 11-day Western Caribbean cruise on the Norwegian Breakaway. Round-trip from Port Canaveral to Great Stirrup Cay (private island in Bahamas), Nassau (Bahamas), Ocho Rios (Jamaica), Grand Cayman (Cayman Islands), Roatan (Honduras), Harvest Caye (Belize), Costa Maya (Mexico) and Cozumel (Mexico). 9-day Southern Caribbean cruise on the Norwegian Star. Round-trip from Port Canaveral/Orlando to Great Stirrup Cay (Bahamas), Aruba, Curacao and Bonaire. 15-day Transatlantic cruise on the Norwegian Epic. One-way from Port Canaveral/Orlando to Barcelona (Spain). Visit Ponta Delgada (Azores), Funchal (Madeira), Cadiz (Spain), Malaga (Spain), Cartagena (Spain) and Palma (Spain).